CLAUDE E. HOOPER, (1898 - 1954), THE FATHER OF HOOPERATINGS. When promotion-minded Claude Hooper dubbed his radio audience surveys Hooperatings in 1938, it made him famous. As leader of his company’s “Hooperites” and “Hooperettes” he never left the spotlight. It also made him the personified target of those who believed that ratings - his Hooperatings, in particular - were nothing more than the product of junk research that benefited low-class programs. That was the case when Fred Allen, who continually disparaged ratings, told the press that he could invalidate Hooper’s methodology The comedian’s boast fell flat when he was unable to prove it. Then Allen reverted to the common complaint that ratings favored inferior programming. 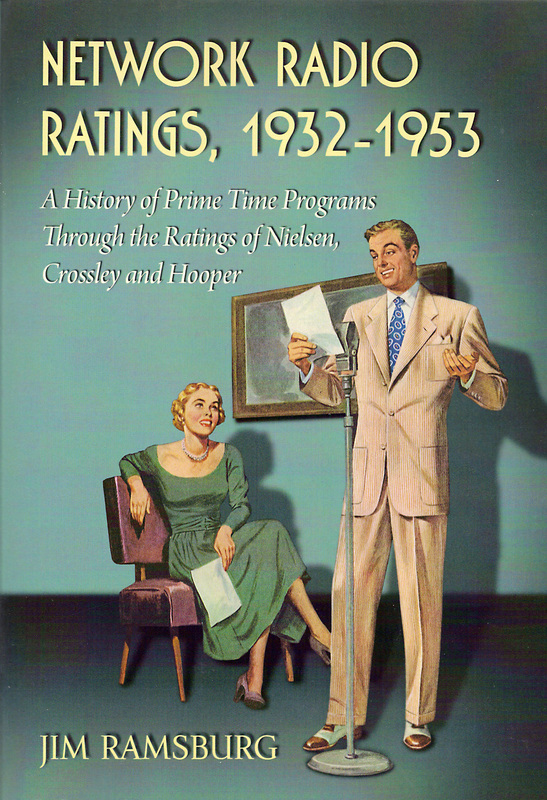 Hooper calmly replied that ratings reflected the quantity of programs’ listeners, not the quality of programs’ contents. “ Hooper says that 92,550 homes are called each month in the Pacific web coverage area. “…On a 30 day breakdown it gives about 3,000 calls daily on the entire Pacific Coast. That’s 108 calls per half hour period. The current report shows 35% average sets in use. That means less than 40 respondents giving the Pacific Coast pace for half-hour listening! West Coast reports were also folded into the bi-weekly National Network Hooperatings which Hooper claimed were based on over 4.5 million calls annually. Hooper may have seemed to be an easy target. But nobody ever came close to hitting the bullseye.